Don’t forget that in life’s rough and tumble motives aren’t the point. Welcome to the “rough and tumble” world of Raduan Nassar and his short but bitter description of human relationships, and the motive? That’s not the point. Here’s a short review for a very very short book. 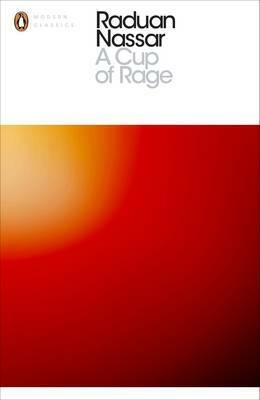 The shortest book on the 2016 Man Booker International Prize longlist for many a year (I can only think of poetry books and chapbooks that I own that are shorter than this work), is the Brazilian “A Cup of Rage” by Raduan Nassar (translated by Stefan Tobler). Originally published in 1978, under the title ‘Um Copo de Cólera’, and running to a mere 45 pages this publication is not a weighty read, however it isn’t a shallow one either. Our book opens with the distant allure of our male protagonist nonchalantly eating a tomato sprinkled with salt, he knows that his detached approach is fuelling a lustful desire in his partner. Our story then moves to the bedroom and we continue the detachment with distant observations that our male believes will be forthcoming in the love making, descriptions of feet, hands, hair, these are more detailed than the act itself. I who was – methodically – mixing reason and emotion into and extraordinary alchemical amalgam. Not forgetting that reflection is nothing more than the excretions of the drama of our existence, foolishly put on a pedestal by us. A work that explores the manipulative side to relationships, the allure, the sexual desire and then the destructive, often violent, reactions, the perpetual spiral of self-destruction, the slipping away from attraction and into rejection. Although an intriguing work, with gems scattered throughout and a wise view on relationships, however, personally I feel this is a short story, even too short to be classed as a novella, and this has to be a major hindrance as to the book’s ability to even make the shortlist, let alone take out the Man Booker International Prize itself. December sees a number of reading challenges being promoted, the first “twelve books of Christmas” challenges bloggers to read and review twelve works during the month, and when I totaled up my reviews of works this year for my personal listing of my favourites under the banner “Twelve Days of Translated Fiction” it came to eighty-eight, what better way to round out a nice 100 works for the year by joining in and ensuring I get to another twelve books before the end of the year. Another reading challenge is “Diverse December” (you can read more here) where the BAME (“Black, Asian and Minority Ethnic”) writers get a little more exposure. Today’s review fits that demographic quite nicely. 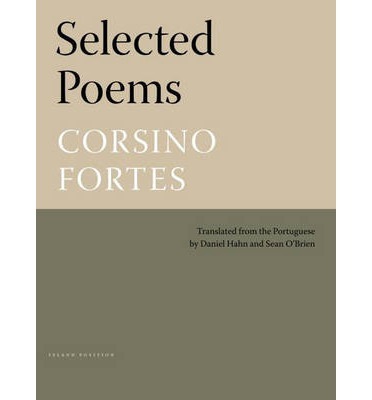 Corsino Fortes was born in Mindelo on the island of São Vicente in Cape Verde in 1933. Serving as the first Ambassador of Cape Verde to Portugal from 1975 to 1981 he went on to become a judge in Angola and served several govenments in the Cape Verde Republic. Writing in both Creole and Portuguese, the works in this collection have been translated from poems written in Portuguese the official language of the ten island archipelago. In this example the rhythm and sound of the night train moving through the dark seems to have more power, and of course this is one of the major challenges that translators would face, especially with the poetic form. One of the translators here Daniel Hahn, I recently read through is work on “A General Theory of Oblivion” by José Eduardo Agualusa. The collection shows a strong connection to country, being an outcast in another land, countries who display the bones of Cape Verde peoples in museums, as though they are showing us the birth of humankind. This collection is taken from “Bread + Phoneme” published in 1974, the year that Portugal’s dictator Antonío Salazar was over thrown, this event triggering the decolonization of the Cape Verde Islands in 1975. “Tree + Drum”, “Stones of Sun + Substance” are the other published works that these poems are drawn from along with two “Uncollected” poems. The earliest section, from “Bread + Phoneme” is a very obscure opening, and it took me a while to get used to the references, the metre and the rhythm of the poems, let alone the meaning, with poems taken from later collections having direct references and alignment to the island itself and feel a little more accessible. This publication if very much grounded in being part of one’s land, one’s country is displayed in the poem “Earth to Earth” which explores the relationship between a child and a navel, we are born of the earth but we devour it. Source personal copy (part of my Archipelago Books subscription). Earlier this year I read and reviewed the Best Translated Book Award longlisted “Granma Nineteen and the Soviet’s Secret” by Ondjaki (translated by Stephen Henighan), my first foray in Angolan literature. 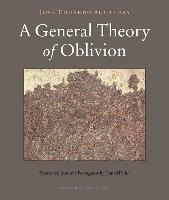 As part of my subscription to the outstanding not-for-profit independent publisher Archipelago Books the new release “A General Theory of Oblivion” by José Eduardo Agualusa (translated by Daniel Hahn) landed on my doorstep. Also translated from the Portuguese, this is very much a different tale to the childhood innocence story from Ondjaki. José Eduardo Agualusa won the Independent Foreign Fiction Prize in 2007 for his novel “The Book of Chameleons” (also translated by Daniel Hahn), and if I decide, one day, to back read award winners or shortlisted novels this one will possibly make my list, but with the plethora of new works to investigate it may be some time before I get to older works!!! Due for release in mid-December, our novel opens with the story of a Portuguese woman Ludovica, or Ludo, who suffers agoraphobia, a fear of wide open spaces. She wants to remain locked in a safe indoor environment and when her parent’s unexplainably die she is forced to travel to Angola to live with her sister and her Angolan husband. Living in an exclusive apartment the revolution begins. Everybody leaves, their supplies remaining behind and her sister and her husband mysteriously do not return from a party one evening, have they escaped the country or has a terrible fate befallen them? Ludo observes the world from within her own world, a microcosm of Angola itself, she gleans her history from snippets around her, observation and the world news. I’m afraid of what’s outside the windows, of the air that arrives in bursts, and the noise it brings with it. I am scared of mosquitos, the myriad of insects I don’t know how to name. I am foreign to everything, like a bird that has fallen into the current of a river. I don’t understand the languages I hear outside, the languages the radio brings into the house, I don’t understand what they’re saying, not even when they sound like they’re speaking Portuguese, because this Portuguese they are speaking is no longer mine. Switching between third person narrative and the stories of Ludo as she scrawls her life story down, we observe the changing landscape of Angolan politics through a single lens, a lens that is not privy to distractions or all information. A bit like our own current world in an era dominated by media moguls, we only know what we’re allowed to know. Alongside Ludo’s story we have a number of interconnected tales, stories of carrier pigeons with valuable diamonds in their guts, stories of the diamonds being found by a political prisoner Monte, who Ludo observes attempting to flee the authorities, Monte is harboured by a kind woman who actually has a link to Ludo via the diamonds in the pigeons’ guts. The young man was enthused by this. He started accompanying the nurse, in exchange for a symbolic wage, three meals a day, a bed, and laundry. In the meantime, the years went by. The socialist system was dismantled by the very same people who had set it up, ad capitalism rose from the ashes, as fierce as ever. Guys who just months ago had been railing against bourgeois democracy at family lunches and parties, at demonstrations, in newspaper articles, were no dressed in designer clothing, driving around the city in cars that gleamed. I realize I have transformed the entire apartment into a huge book. After burning the library, after I have died, all that remains will be my voice. In this house all the walls have my mouth. This is a literary novel, a work that refers to other works, a work that refers to the art of writing, the common theme of being locked away and seeking solace in a novel or your own writings (including poetry). The book came about after José Eduardo Agualusa was approached by the filmmaker Jorge António to write a screenplay for a feature-length film to be shot in Angola. He decided to write the story of Ludovica Fernandes Mano, a Portuguese woman who had bricked herself into her apartment days before the revolution. José Eduardo Agualusa had access to ten notebooks in which Ludo had been writing her diary, Sabalu Estevão Capitango giving the author these books. He also had access to other diaries and photographs of Ludo’s texts and charcoal pictures on her walls taken by the visual artist Sacramento Neto (Sakro). Often, as she looked out over the crowds that clashed violently against the sides of the building, that vast uproar of car horns and whistles, cries and entreaties and curses, she had experienced a profound terror, a feeling of siege and threat. Whenever she wanted to go out she would look for a book in the library. She felt, as she went on burning those books, after having burned all the furniture, the doors, the wooden floor tiles, that she was losing her freedom. It was as though she was incinerating the whole planet. When she burned Jorge Amando she stopped being able to visit Ilhéus and São Salvador. Burning Ulysses, by Joyce, she had lost Dublin. Getting rid of Three Trapped Tigers, she had incinerated old Havana. There were fewer than a hundred books left. She kept them more out of stubbornness than to make any use of them. Her eyesight was so bad that even with an enormous magnifying glass, even holding the book in direct sunlight, sweating as though she were in a sauna, it took her an entire afternoon to decipher one page. In recent months she had taken to writing her favourite lines form the books she had left in huge letters on those walls of the apartment that were still empty. “It won’t be long,” she thought, “and I really will be a prisoner. I don’t want to live in a prison.” She fell asleep. She was awoken by a quiet laugh. The boy was there again in front of her, a slender silhouette, cut out against the stormy glare of the sunset. A street kids, climbing scaffolding on an adjacent building enters Ludo’s world and as a result things will never be the same. A highly readable and enjoyable novel, however the implausibility of the character connections is too much to ignore, with numerous characters all somehow linked via diamond mining, rebellion, blood, or neighbourhoods to have other common connections is just too unreal to be real. Personally I found a number of characters quite confusing to understand where they slotted into the plot and then to have a final “scene” with numerous players was too fantastical. Besides the implausibility there are a number of gems that appear in the text and the scrawling on the wall and the reason why Ludo has locked herself away (which is revealed) are quite moving. A breath of fresh air from your usual African fare that seems to make its way into English, this is a worthwhile read.